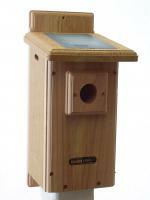 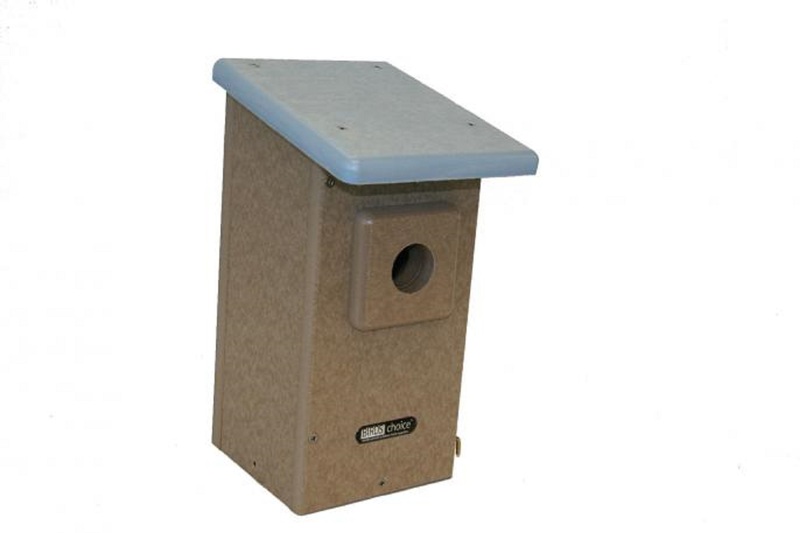 Our attractive blue and taupe recycled bluebird house will give your bluebirds a maintenance-free home for a lifetime. 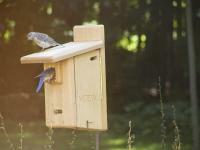 The entrance hole (1-9/16") is sized for the Western bluebird which is slightly larger than the Eastern bluebird. It includes a predator guard which helps to protect the nest and babies from animals reaching in and extracting them. 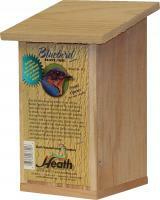 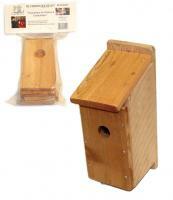 Provide your bluebirds with a house that will give them every reason to raise their families in your yard!